In pretty much our favourite feel-good, pre-Christmas story, young Michael Brown has taken his place exactly where he needs to be right now, with his adoptive and perfectly-matched family – the Montgomery-Browns. The now 3-year-old Michael went to live with Tara – in a foster care arrangement – on Valentine’s Day in 2015. 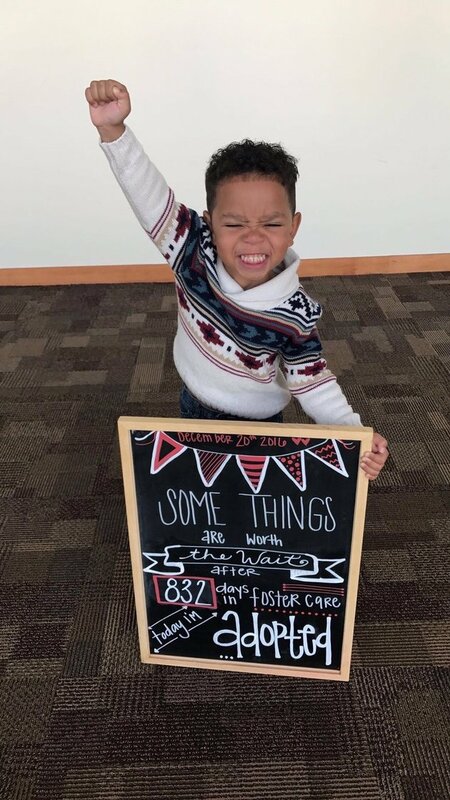 He was then 18-months-old, meaning that he’s been with Tara and family for half his preschooler life. Originally, Tara was told that Michael would ultimately be reunited with his biological mother, but sadly circumstances changed and his birth mum’s rights were severed. As the family came to terms with this turn of events, Tara – who had not initially been looking to adopt a child – realised that the path was now clear to adopt the little boy she’d cared for, for so many months and loved dearly. “As a single parent, I was not looking to adopt, just to help kids during transition,” Tara told the Huffington Post. Apart from the fact that the little boy fitted right in from the get-go, he shared a name AND even looked similar to foster siblings. “He was our Valentine baby, his last name was already Brown (which was the same as my kids) and he looked as if he could have been truly related,” Tara explained. 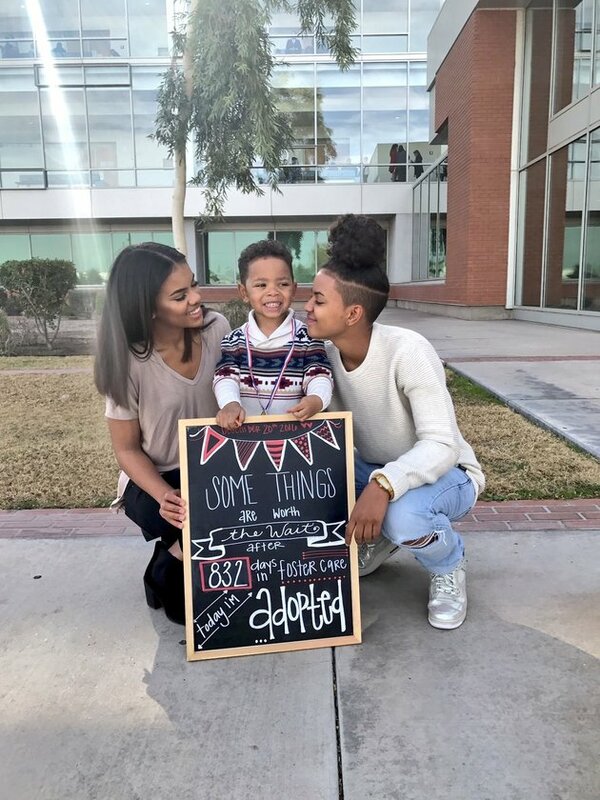 Michael’s adoptive teenage sisters, Dezhianna and Jordan Brown, shared some beautiful and triumphant photos celebrating the adoption on Tuesday. Unsurprisingly, they’ve gone viral across the globe, a symbol of hope, family, belonging and open-heartedness. Mum Tara hopes the family’s story will inspire others to consider fostering – or even adopting – a child. Take a bow, Montgomery-Browns! Excellent family-making!